Our FREE Pre-Qualification program is the first step to buying a home. At NoForeclosure.com we make it easy with our "Free Pre-Qualification" process. When dealing with your home financing, you will want to work with a direct lender (not a loan broker) who can take your loan from start to finish from one central location. With over 150 branch locations nationwide, our lender is licensed to provide services in 49 states producing in excess of 2 billion a year in loan origination volume,... who says you can't get a loan in today's economy? We can assist in providing you with mortgage loan options including fixed and adjustable rate FHA and VA, Conventional, JUMBO loans, refinancing options, and relocation programs--just to name a few. The minimum credit score requirement is a 620 score as a qualifying factor for a borrower to participate in our program. Many banks today require a direct lender's pre-qualification letter when you are submitting the offer, and you need a proven lender that can start and close a loan within 30 days. 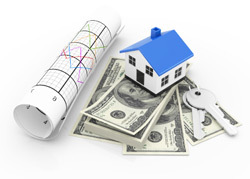 This is a simple and easy process which makes you a ready, willing and able buyer to sellers.